In all the Mike Dee firing excitement (and trust me, once the real story gets out, it’s going to get even more exciting), one detail got overlooked. Dee wasn’t the only one out. Buried in the articles was a mention that Ryan Gustafson, with the mysterious title of Vice President for Strategy and Innovation was also fired. Dennis Lin went on to clarify that Gustafson wasn’t fired, that he resigned. And at that, most people likely forgot they ever heard Gustafson’s name. The thing is, when you dig a little deeper, you start to see that most of the complaints we’ve had about Dee’s anti-customer, anti-fan business practices found their genesis in Gustafson’s office. It turns out every one of these negative changes were Gustafson’s idea. His job primarily was to milk as much revenue out of business operations as possible. Gustafson spoke at length about many of these changes at the 2015 and 2016 SABR conference. It provided real insight into how much Padres view their customers as nothing more than a revenue number. Gustafson discussed the following: “We also have a lot of predictive modeling around customers through lead scoring. Similar to the baseball side when analysts predict a player’s performance, we kind of predict a customer’s performance. What do we think this customer is going to be worth to us, the lifetime value of them, their likelihood to buy season tickets, and we try to use that to optimize our sales and marketing resources.” Gustafson had each customer that had ever been recorded in their Customer Relationship Management system (CRM, also Gustafson’s baby), kept in a Microsoft Dynamics system, scored as a dollar value for future revenue. This drove sales targeting. Even those that had never actually bought a ticket, but had one gifted to them through the Padres’ system were recorded in the CRM system, and then targeted for calls. Each day, the CRM system would spit out 50 leads for each sales rep to try and sell that day, based on whatever the algorithm provided. So if you ever felt like you weren’t treated like a real, human customer, it’s because Gustafson had you reduced to literally a walking, talking dollar value and nothing more. All the while, Dee made no efforts to mask these efforts while giving Gustafson the keys to the castle to implement draconian measures as he saw fit. While Gustafson didn’t create dynamic pricing (it’s widely used across all professional sports), he did call for dynamic pricing to affect season ticket holders’ tickets, and also set all three pricing and dynamic shifts. 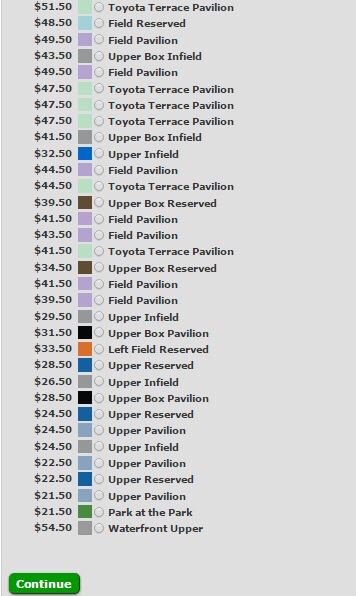 Interestingly he said at the 2016 SABR conference: “If a ticket is $20 when it first goes on sale, but because of demand it goes to $30, $40 by the time that game is here. As a season ticket holder you may be paying $16. Instead of just saving that $4, you’re saving potentially $15, $20, $25, it provides a lot of value. Dynamic pricing not just drives revenue for us on the single game front, it allows us to maximize when demand is high, it also allows us to really have a great piece of leverage when we’re out there trying to sell tickets because season ticket holders are saving that much more money now than what they had previously in earlier years.” Ironically, the team, led by Gustafson, before this speech was made, altered the season ticket program to force season ticket holders to use dynamically priced tickets for the flexible ticket trading, and to buy additional tickets which previously were priced at the season ticket price. I was advised that Gustafson touched anything that had to with money, whether it was revenue or high level budgeting. Gustafson was described as Dee’s “right hand man”, and reported directly to Dee. The segmentation of seating into LITERALLY 132 different seating sections was classic Gustafson. 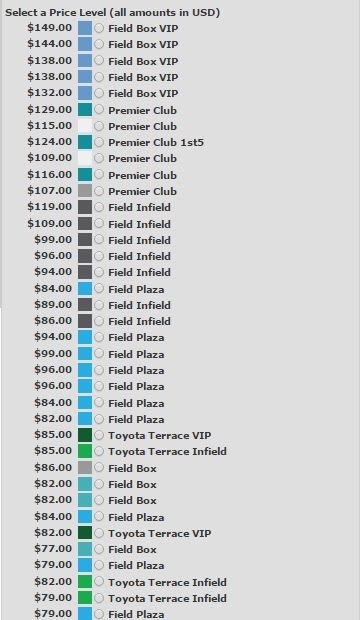 Keep in mind that in many cases, the ticketing sales portal is many customers’ port of entry into anything the Padres do and they are immediately faced with 132 separately priced seating sections. And both Gustafson and Dee thought it was fine to put this level of data analytics front and center. The very fact that many fans and customers actually felt like the team was trying to wring them of any and all revenue at all times shows that Dee and Gustafson failed at using analytics to improve the fan and customer experience. Of course this was never Dee’s strong point. Disneyland would never allow the guests to actually be confronted with the backend data analytics like this. Gustafson was described to me by an insider as “thinking he’s way smarter than he actually was” and “had no heart in any of his recommendations” which explains things like deliberately pushing Park at the Park tickets to nearly $30 on weekends. Which is actually fine, you expect that from the data analytics guy. It was Dee’s job to take those recommendations and form a cogent customer strategy to implement them in a way that enhanced the bottom line AND customer experience. Of course Dee only chose to do 50% of that. Gustafson will be quickly forgotten, as he was little more than a footnote to start with. While he may have been reported to have resigned, it is more likely that he “resigned”. So intrinsically tied to Dee, with Dee’s embarrassing exit, Gustafson likely saw the writing on the wall and ducked out while he could to save face before the stench of Dee tarnished his career prospects . As fans and customers look to see who will run the team (please god don’t promote from within like I’ve heard rumored), let’s hope that the analytics that are performed are done to both enhance the bottom line while also making the fan experience better.